Historical and architectural treasures and new developments make Mithila a hot bed of potential for entrepreneurial ventures. Before setting off for Janakpur recently, I read a novel called, “Siege of Mithila” by Ashok K. Banker. It was a good read but what really struck me was the fact that Mithila is a bankable brand name and tourism product and not just a destination. From the sky, Janakpur is a beautiful landscape with rice fields stretching in all directions with compact settlements and mango orchards and fish farms as islands. The new airport building that is coming up gives a good idea of what the visitor should expect on arrival. It is a steel structure that will do well to mix the modern and the traditional. Soon, if we all work for it, there will be flights from here to Patna and Lucknow and to Bhairahawa, Lukla and Pokhara besides Kathmandu. are sacred sites with the remains of the famous Shiva bow that Ram had to lift and string to prove himself worthy of Sita. There are so many sites that the visitors will want to see while enjoying the mangoes and fish of Janakpur. If the above list was not enough, we have not even mentioned the now world famous Mithila art and ceramics. They already have a place in the local and global marketplace. 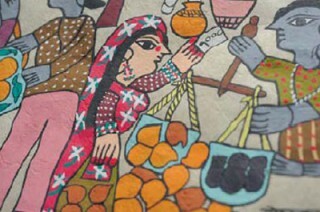 The need is to create a bigger Mithila marketplace where artists of all kinds can do really well. Demand for and prices will be the real incentive to conserve this amazing heritage. To top it all, the story of the Janakas and their legacy of good governance can be the motive to spend more time here. It is hard to estimate how many bed and breakfasts, resorts, gift shops, mango stands and fish fast food eateries all these enterprises could provide business to, but it sounds like a lot. As incomes in Bihar and UP go up, tourists will come to Janakpur. They will spend and enjoy themselves. 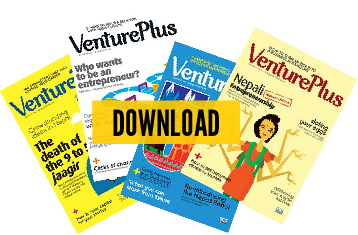 The million dollar question is whether our entrepreneurs are ready to venture out or not.